For the Rolling Stones fan who has everything  and now wants it on vinyl. 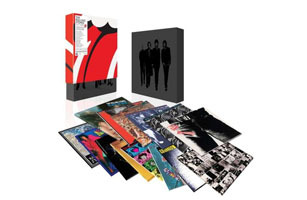 These two box sets cover the Stones from 1964-69 and 1971 to 2005, packaging remastered versions of their 23 studio LPs along with compilations and EPs. Something that expansive doesn't run cheap (each volume lists about $400) but then again, you can't just steal vinyl records off the Internet.